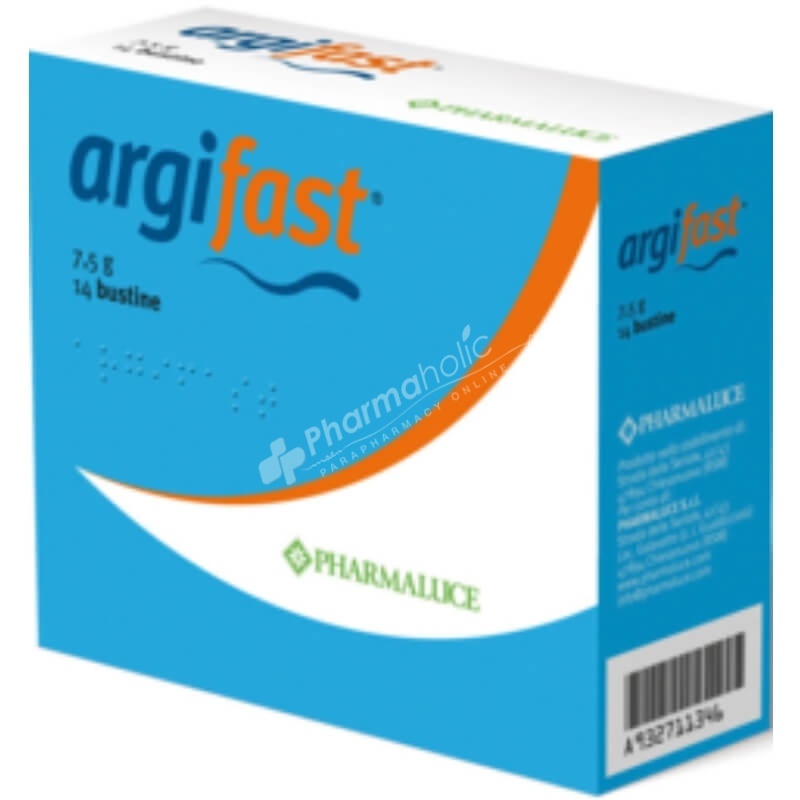 Argifast is a food supplement based on Arginine, Coenzyme Q10, Vitamins and vegetable principles. Vitamins C and E contribute to the protection of cells from oxidative stress. Ginseng and Puncturevine are useful in cases of physical and mental tiredness. Argifast® is a food supplement based on Arginine, Coenzyme Q10, Vitamins and vegetable principles. Vitamins C and E contribute to the protection of cells from oxidative stress. Ginseng and Puncturevine are useful in cases of physical and mental tiredness. Take 1 sachet a day, far from meals, dissolved in a glass of water. L-Arginine, Coenzyme Q10, Vitamin C, Puncturevine, Ginseng, Inositol, Vitamin E, Vitamin B3.